The HeartStart MRx Monitor/Defibrillator is used to pace patients with a slow heartbeat or start the heart in individuals experiencing cardiac arrest. How Does the HeartStart MRx Monitor/Defibrillator Work? The HeartStart MRx Monitor/Defibrillator is manufactured by Phillips Healthcare, and is intended for use by emergency medical personnel and first responders trained in CPR. 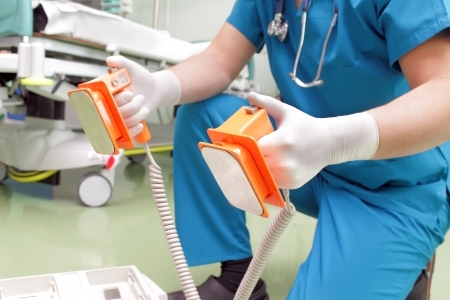 In an emergency situation, electrodes are attached to the patient and then connected to the HeartStart MRx Monitor/Defibrillator to help it analyze the individual’s heart rhythm. If the patient is in cardiac arrest, the electrodes will deliver a life-saving shock in order to restart the heart. The shock can also pace the heart in patients experiencing a slow heartbeat. On February 24, 2017, Philips Healthcare announced a recall for the HeartStart MRx Monitor/Defibrillator due to electrical and battery connection issues that may prevent the device from powering up, charging and delivering electrical shock therapy. The U.S. Food & Drug Administration (FDA) designated Philips’ action a Class I recall. Class I recalls are the agency’s most serious safety notice, and indicate that use of a device poses a significant risk of serious injury or death. The issues that prompted the HeartStart MRx Monitor/Defibrillator recall could cause the device to stop pacing. A delay in therapy may result in serious patient injury, including permanent organ damage, brain injury, or death. The affected devices were manufactured between February 11, 2004 and November 4, 2016, and distributed between February 12, 2004 and November 4, 2016.